Joining Feta with Olives and authentic grilled meats is the core recipe of the Mediterranean Grill, enjoyed by all. We create traditional souvlakis and much more in our diverse menu that provides a new kind of food for a better kind of living. You will find consistently fresh and delicious Mediterranean-style food full of health, energy and nutrition. Feta & Olives Mediterranean Grill makes no warranties or representations as to its accuracy. 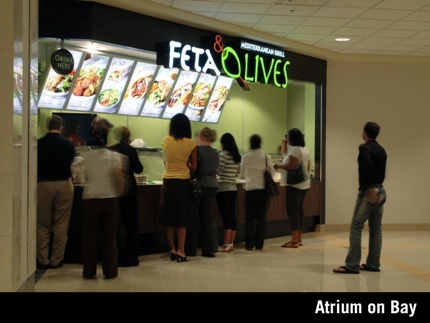 Feta & Olives Mediterranean Grill assumes no liability or responsibility for any errors or omissions in the content on the Site.